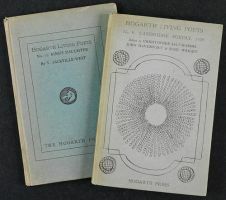 The Hogarth Press published several series intended to bring significant ideas in literature, art, politics, and criticism to a broad public. 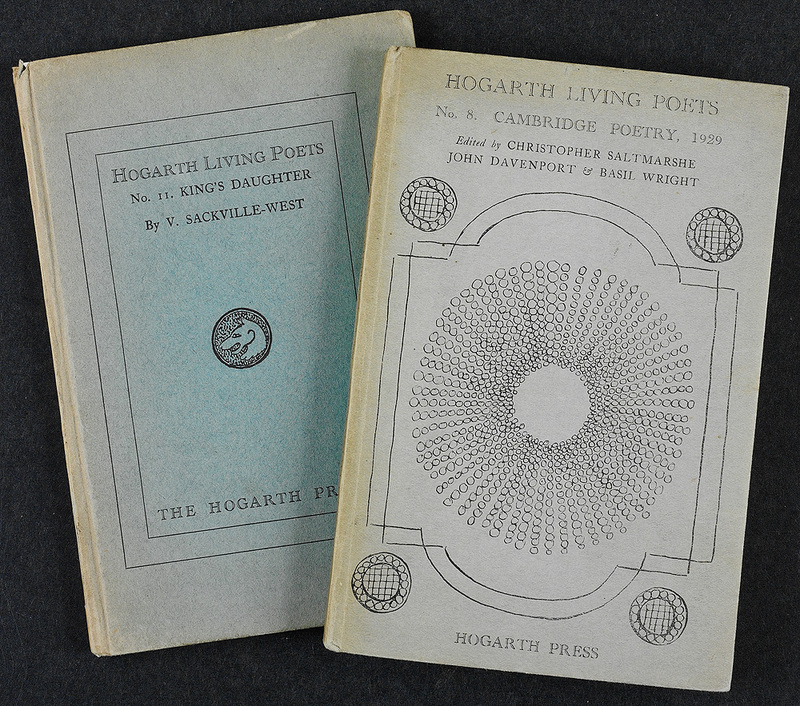 Two volumes from the first series of Hogarth Living Poets are shown here. Hogarth Living Poets, Number 8, 1929. From the library of David Garnett. Number 11 presented by Frances Hooper ’14. 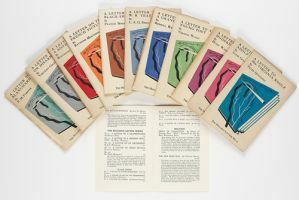 The Hogarth Letters included twelve issues published between 1931 and 1932, with a cover illustration by John Banting. Woolf’s “letter” was number 8 in the series. It was first published in the Yale Review in June 1932 and was addressed to John Lehmann. Lehmann, who was a partner at the Hogarth Press, was a friend of Julian Bell and George Rylands, and was associated with many of the young writers of the 1930s. Hogarth Letters, 1931-1932. Presented by Elizabeth P. Richardson ’43. 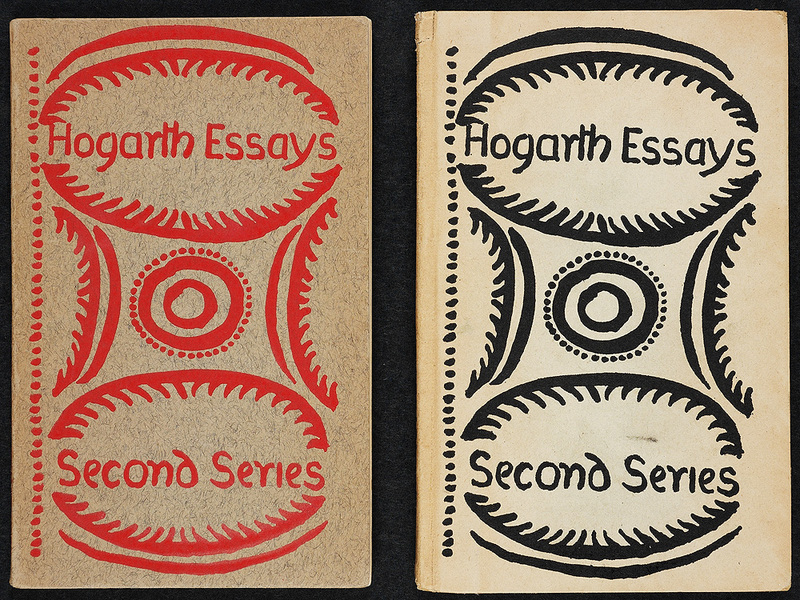 The second series of Hogarth Essays included sixteen titles published between 1926 and 1928. Impenetrability by Robert Graves (1926) and Prospects of Literature by Logan Pearsall Smith (1927) are on display. 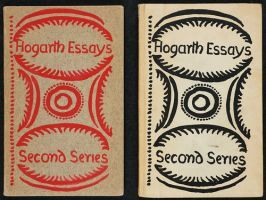 Hogarth Essays: Second Series, 1926-1927. Presented by Mina Kirstein Curtiss ’18.